Can You Jack Up Your Own House? It is difficult, if not virtually impossible, for a non-professional to jack up his or her house. For most home renovators out there, this is like preaching to the choir: they have no desire to lift a house. For others, the project looks dead-simple, an easy way to save thousands of dollars. But there are some realities about house jacking that make it more difficult and complicated than it may seem, and it very likely would take longer than you'd expect. While few of us are interested in jacking up an entire house, complete with cribs, girders, timbers, and everything else you need in order to lift a house off the ground, there are a number of foolhardy souls among us who feel the need to jack up a portion of the house in order to insert an extra tier or beam for repairs or to level an old, sloping floor. First of all, lifting an entire house into the air is completely out of the question for an amateur. There's just too much that can go wrong, as in very wrong. If you don't know what you're doing, it's very risky for your house, and it's very dangerous for everyone involved. Jacking up a corner of the house is another story, but there's still ample opportunity for you to cause significant damage, not to mention the potential danger. You might set out to jack up your house and you'll end up doing just that—jacking up your house. 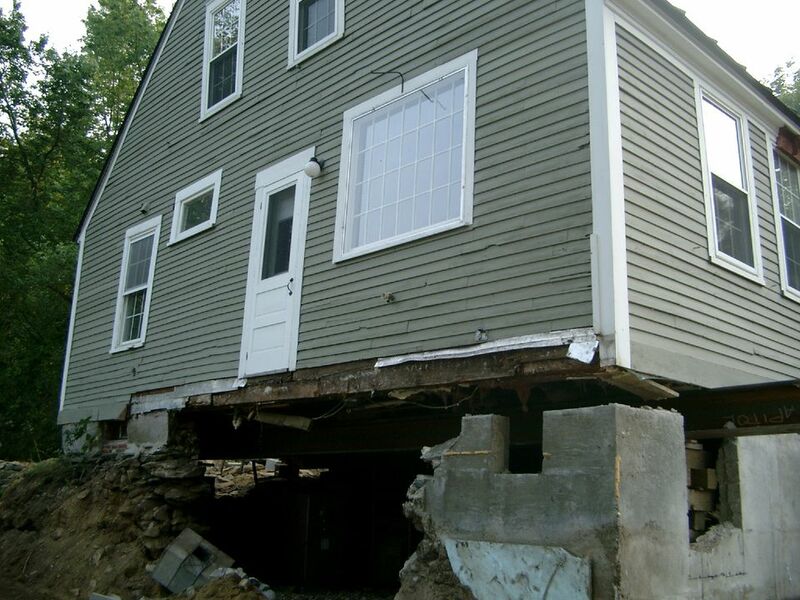 Not surprisingly, an ordinary hydraulic jack is no match for a house. Take your strongest automotive jack from the garage and this jack will crumble under the weight of a house. More precisely, it will never even begin to lift. Jacking a house typically is done with screw jacks, and a lot of them. Hydraulic jacks are also used. In any case, you would want at least 20-ton jacks, and 40-ton is better. You can rent heavy-duty jacks, but a rented hydraulic jack would be underneath the house for a very long time, running up charges, so you'd be better off owning them. A house is constructed of thousands of pieces of lumber, nails, screws, wire, metal, masonry, and countless other types of building materials. All of these materials are interlocked, like a jigsaw puzzle. Contrary to what you might expect, a house does not raise or lower like a giant box. Instead, a house raises or lowers more like a giant King-size mattress. Imagine going underneath a mattress and trying to lift any portion of it with your fist. Most of the mattress remains stock-still, completely unmoved by your efforts. Even areas of the mattress in the immediate vicinity of your hand barely move. It is only the portion of the mattress directly above your hands that rise. So it is with a house. Place one, two, or even five hydraulic or screw jacks in close range beneath the house, lift slowly, and the results are disappointing. First, you hear the house protest with cracks as loud as rifle shots. Joists groan. Upstairs, plaster and drywall crack and crumble and fall. Yet below, there is little sign of elevation. Moral of the story: if you plan to do any kind of raising and shoring of any portion of your house from beneath in a basement or crawl space, just keep in mind that you will not be able to influence more than a small portion. Even then, you will probably accomplish nothing more than replacing rotten timbers with new timbers or girders and maintaining the same slant of the floors above. As a general rule, a house—including any portion of a house—should be lifted no more than 1/8 inch per day. If you have to raise the house 1 inch, it will take at least eight days. This slow pace gives all the interconnected materials a chance to settle into the new position without falling apart. Presumably, the house started out square, plumb, and level, and it gradually settled over time so that it's gotten used to the new position, as cockeyed as it may be. If you jump under the floor and start raising it to its original elevation without giving the materials time to adjust, you'll cause lots of undo damage. Houses must be lifted using the same supports that keep the house standing, such as the carrying beams and the load-bearing walls. Knowing where to place jacks, how many to use, and how to distribute the pressure of each jack is critical to a safe and successful house raising. Even if you understand home structures and which parts carry the loads, jacking a house is, in some ways, the reverse of those forces, so conventional structural rules don't always apply. Knowing what to expect takes experience. Do you really want to cut your teeth on your own home? Can You Install Cedar Siding Over Vinyl, Brick, or Wood Siding? What Can You Build on a Property Easement?